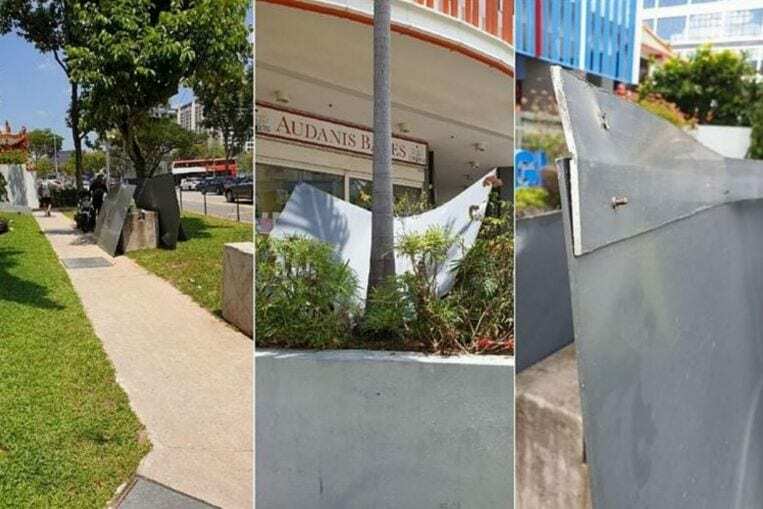 It horrified me to read about the metal panels that almost injured a woman (Woman escapes being hit by falling metal panels, April 7). In recent years, there have been incidents of falling glass, wall tiles, windows and metal panels, as well as other concrete structures. As more high-rise buildings are built, the responsibility lies with building owners to step up their preventive maintenance to ensure such materials are secure to avoid accidents. What is the point of conducting a thorough investigation after someone is hurt or, worse, gets killed? The Building and Construction Authority (BCA) said after the incident that the structural integrity of the building was not affected. It is not the structural integrity that was of concern. Also, the BCA should conduct surprise checks and take errant building owners to task for infringing building regulations.